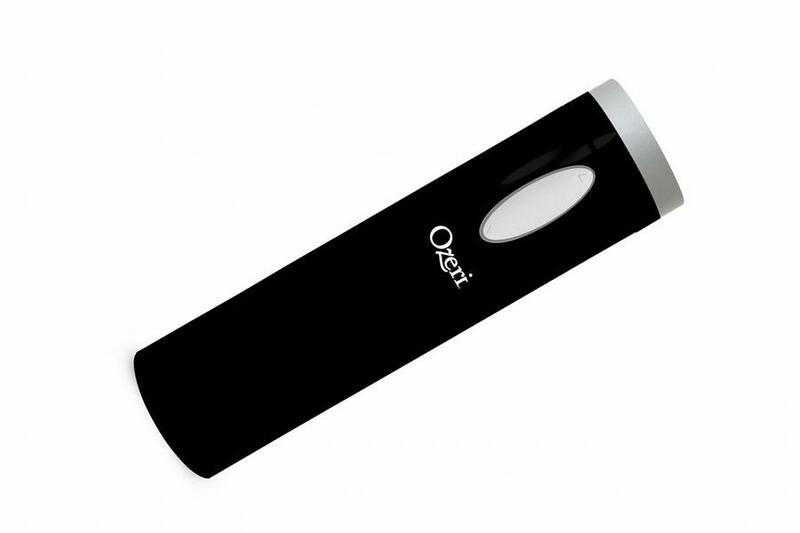 Another automated electronic wine opener from Ozeri, I didn’t quite approve of the Maestro version much, but things may be different with this Ozeri Nouveaux Electric Wine Opener. You see the thing about electronic wine openers is that they aren’t awfully reliable, some may be strong while others weak, so you never know what you get, the thing you can be certain when buying this is that you definitely get what you see on the adds, the most highlighted feature probably, the looks. 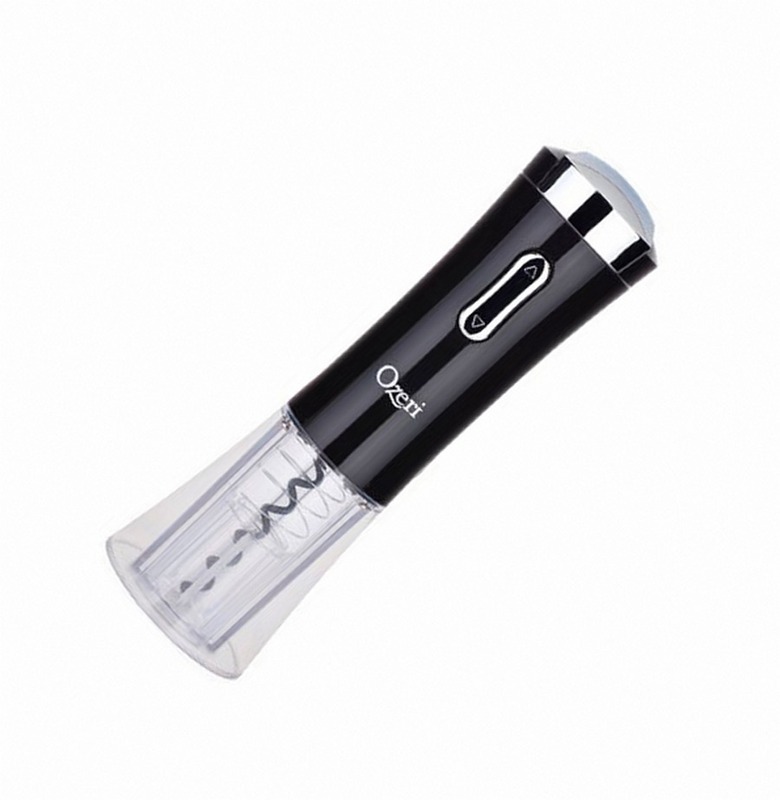 This Ozeri Nouveaux Electric Wine Opener looks good; it’s a definite buy for those who are keen on beauty and elegance, something that would compliment a well aged bottle, depending on which of the three colors you choose. It has a curve at the bottom which lets it stand on its own with no assistance from a base or holster. The transparent bottom might not be of any benefit to the quality or performance of the opener but it does make it look great as it glows with a faint blue light every time you use it to open a bottle, it even glows when you plug it in for a charge. Now comes the important aspects of this opener, whether it lives up to its looks or is just another decorative addition to your cellar, well honestly the opener works fairly well, it removes the toughest of corks with no worries, and it’s not hard at all, just push the button and it works for you. The battery for this opener is surprisingly long lasting as well; it’s not entirely large, so you wouldn’t expect that much long lasting capabilities, they are confident enough to say it opens up to 60 bottles in a single charge on Amazon. So aside all that wonderful clockwork going on with this electronic opener you must wonder if there is a catch, or a downfall perhaps? Well not quite a big deal but not something you would expect from an opener of this caliber, it seems the foil opener located at the top of the unit requires that you pull it off, but after a few careless moves you will eventually break the plastic ridge that holds the foil cutter, so that means no more fancy looks, the foil cutter works fine, for the price they should have invested in better researching towards the design. 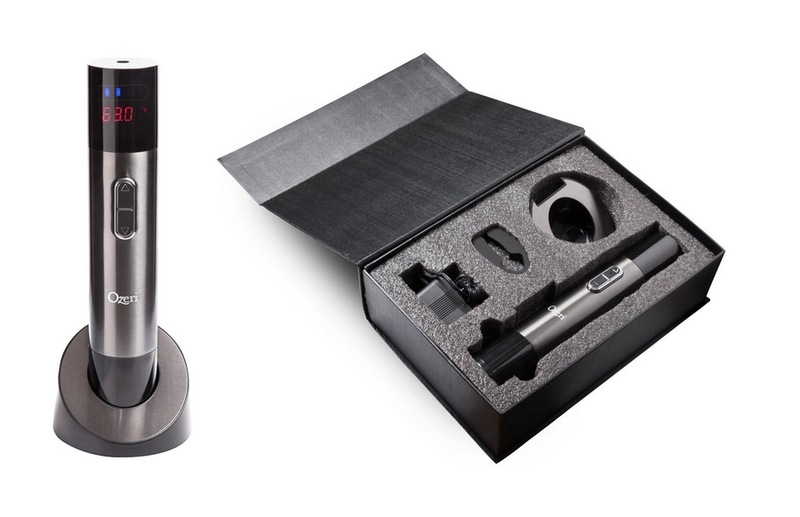 Overall I am quite fond of the looks and the surprising performance of this Ozeri Nouveaux Electric Wine Opener, but I would still prefer regular levers and sommeliers to automatics any day.